This is a dense, bushy, fast growing evergreen and a very popular choice for those who want a medium height evergreen hedge (up to about 2m). Its densely packed leaves, borne on long stems, are tiny so it forms a very dense hedge. It has a high tolerance of clipping which makes it ideal as a neat, formal hedge. Lonicera Nitida is a very common hedging plant despite few people knowing its name - we hope our photograph helps to make it recognisable. You may have heard it referred to as Poor Man's Yew. Due to its fast growth rate and tiny leaves on supple stems, it's also a very popular choice for topiary . It is easily trimmed in Summer and Autumn. Lonicera Nitida is suitable for shady sites, and most soil types, but not wet or windy sites, or seaside gardens. 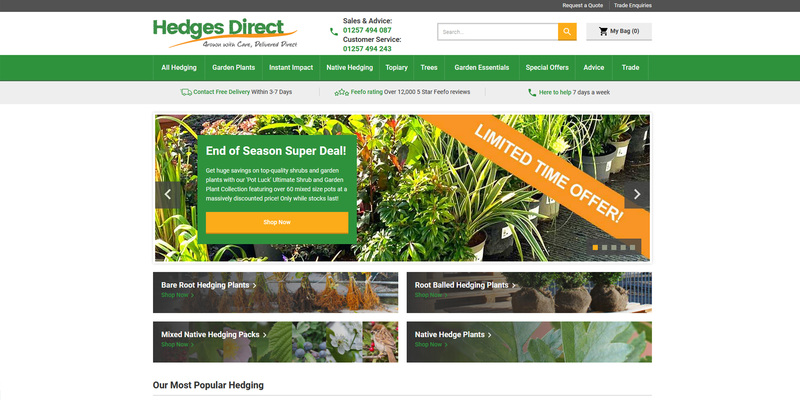 Don't let hindering planting conditions deter your gardening goals, we supply a huge range of hedging plants for shade and plants for exposed sites.